BUENOS AIRES. Aníbal Borrajo gave a new triumph to the Ciudad de Chivilcoy team in the traditional Doble Bragado that finished on Sunday in Mercedes and completed its almost 1,200 kilometers. The Chivilcoyanos swept the podiums achieving the general, the Sprint Goals, the Sub 23 and the team classification. 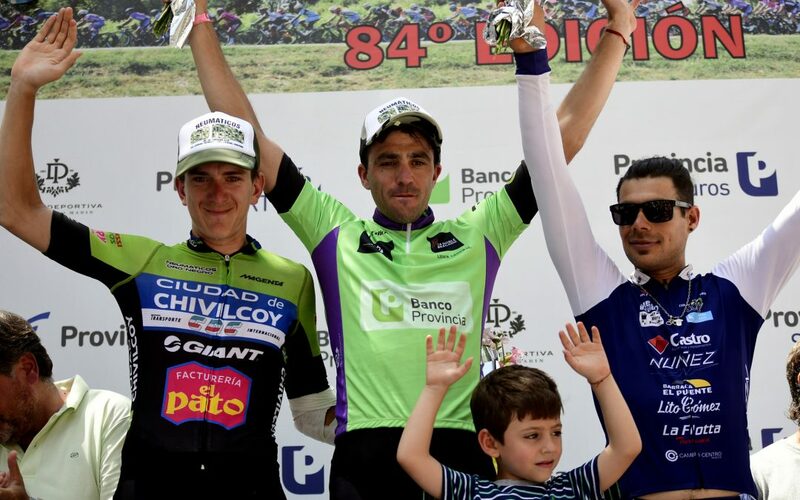 This Sunday the 84th edition of the Doble Bragado was completed, a test organized by the Club Ciclista Nación e Imagen Deportiva that put the Banco Provincia Cup into play, which was in the hands of Aníbal Borrajo, who arrived in the peloton and managed to become champion afterwards. of a great performance throughout the week. The final stage played between Bragado and Mercedes was completed in 2 hours and 56 minutes, there were few attempts to escape and a great mastery of the teams Ciudad de Chivilcoy and Cerro Largo of Uruguay that worked to keep their places on the podium, that did not stop that Tomás Contte (SAT) will take the victory in the final sprint, beating Hernán Taddeo (Giant) and Héctor Aguilar (Club Cycling Tacuarembó). The general classifications remained unchanged compared to what the double day in Bragado had left, so Aníbal Borrajo scored his name in the extensive history of the ‘Classic of the West’ with a total of 24 hours and 37 minutes and had as escorts to Sergio Fredes (City of Chivilcoy) and Matías Presa (Club Ciclista Cerro Largo). Among the U23s the winner, for the second consecutive year, was Agustín Martínez (City of Chivilcoy), in this case beating two representatives of the SAT, Tomás Contte and Iván Ruíz. In the classification of Sprint Goals, the Ciudad de Chivilcoy team won the podium with Aníbal Borrajo, Sergio Fredes and Agustín Martínez, although none of them added points in the final stage, with the work of the whole week they managed to keep up in front.